This week I had the great fortune to visit Orlando for the Florida Educational Technology Conference for my day job. And what does that mean? A free trip to Florida and the chance to eat at Disney! I didn’t have time to visit the parks, but was able to convince a couple of my compatriots to join me for dinner at Raglan Road in Downtown Disney. 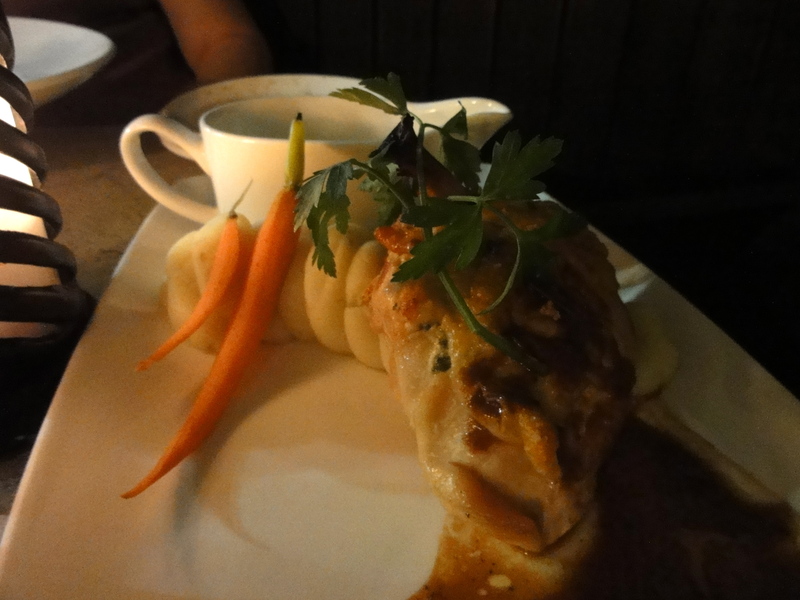 I promised my friends “a fun Irish pub with great food,” so the convincing part was pretty easy. I’ve been here several times since RR opened in 2005, and have never had a meal that I would even categorize as “average.” The food is consistently excellent, the atmosphere is hopping (literally – there was an Irish step dancer performing near our table outdoors) the bars are 130 years old and from Ireland. And the house band plays 6 nights a week. Yes, you can get fish and chips and a Guinness. But let’s be clear – the menu goes way beyond the traditional, without losing sight of its roots. Do most Disney restaurants offer an appetizer of smoked haddock, potatoes, cheese, and tomato? No? They should! In fact, every restaurant should immediately put this on the menu. I wanted to take a bath in it. My friends don’t eat pork, and were concerned because it tasted like it contained bacon. Yet, there is no bacon, just smoky haddock deliciousness. I was concerned that it would be too cheesy, but it was more like a rich chowder. Just excellent. 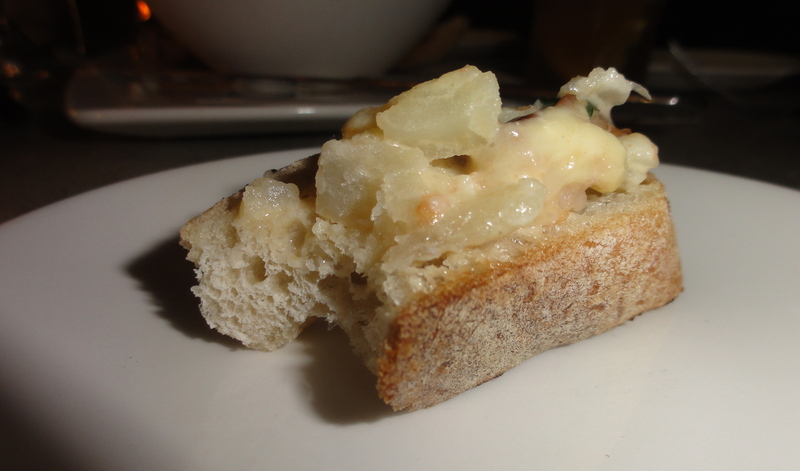 The non-chowder was declared excellent by my Irish friend from New England. 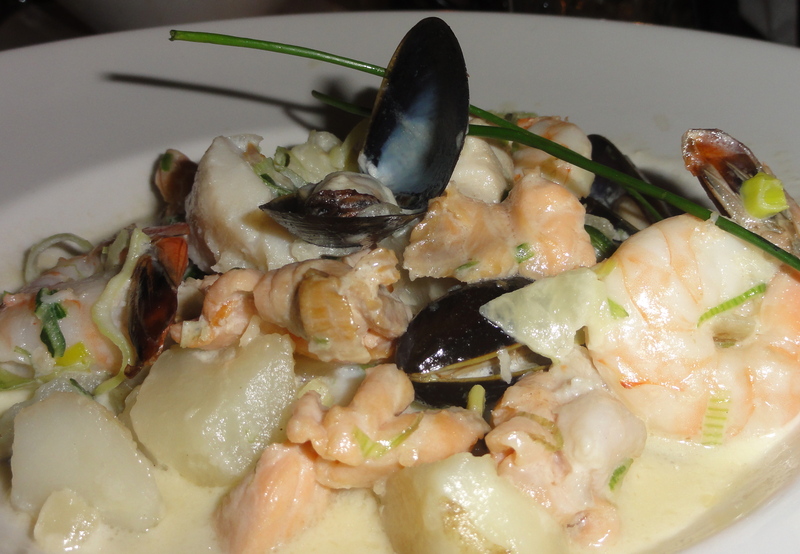 I didn’t taste it, but just look at those chunks of fish, shrimp, and mussels! My other friend ordered the Chieftain Chicken, which for a simple chicken breast looked pretty darned good. She really liked it. Sorry for the dark shot – we were sitting on the patio in order to enjoy the beautiful Florida weather, and photography got pretty challenging the later it got. 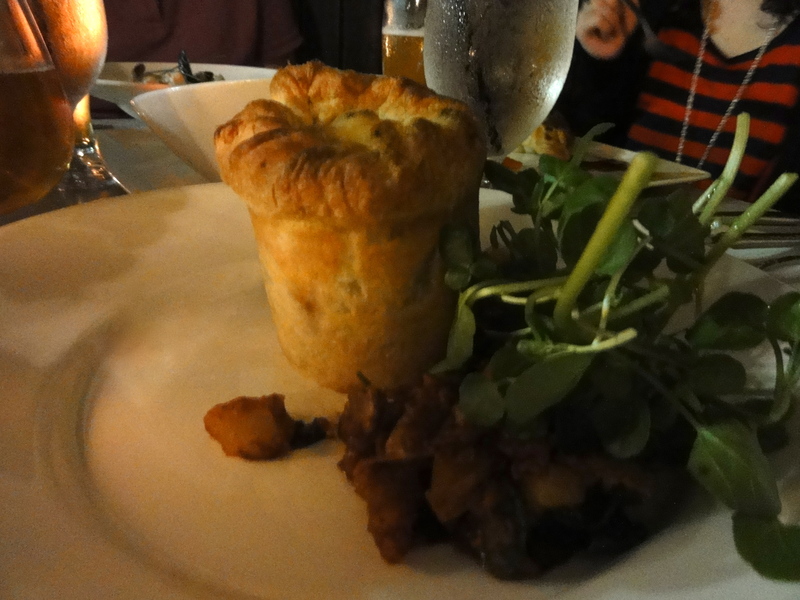 We washed this beautiful meal down with beer from Raglan Road’s outstanding selection. In addition to the traditional Irish brews you’d expect, they have a great variety of local and craft beer, including Abita Andygator. They also have a very nice list of Irish and Scotch whiskeys, and whiskey flights! If I hadn’t drunk the whole 8% Andygator and had to drive back to my hotel I would have tried one of the flights. Next time, that High Falutin’ Flight is on my must-try list. 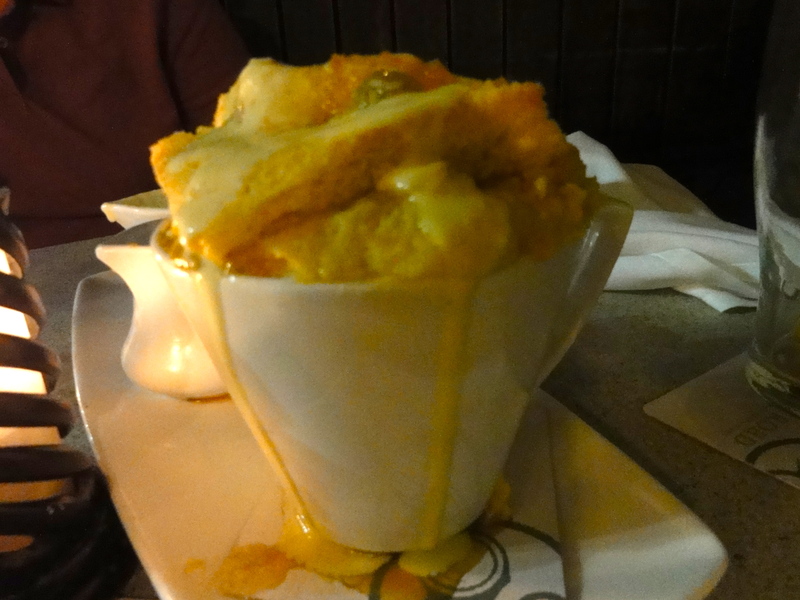 And I couldn’t let the chance for bread pudding pass us by, so here it is, vanilla and bourbon sauce and all. The key is to bypass the top and dig your spoon down to the soft, custard-y center. Friends, great food, beer, and a warm night in January sitting outside. I can’t think of anything better. Raglan Road is definitely 4 Mice on the MouseChow rating scale. I truly wish it were closer to home. 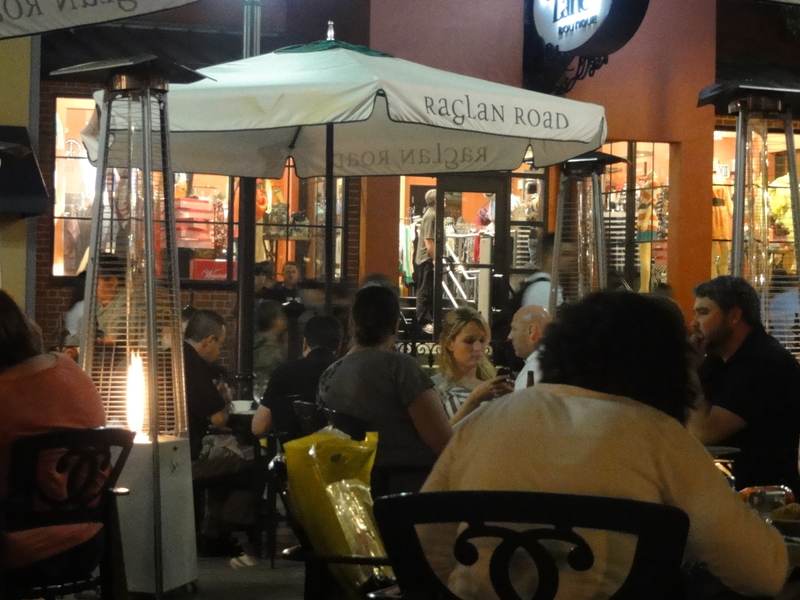 Have you been to Raglan Road? What did you eat? How was it? Let me know in the comments!